​ August 14, 2018 - Geoffrey Sharp, a Hollywood producer/director, whose work has appeared on the National Geographic network and earned an Emmy nomination, has been granted the exclusive right to bring the popular "Vermont Wild, Adventures of Fish and Game Wardens" stories to television. "I'm very happy Mr. Sharp reached out to me," Author Megan Price said of her agreement with the Hollywood executive, signed last week. "Mr. Sharp has a proven track record of writing, producing and directing for television as well as movies. He has the skills to make this happen." 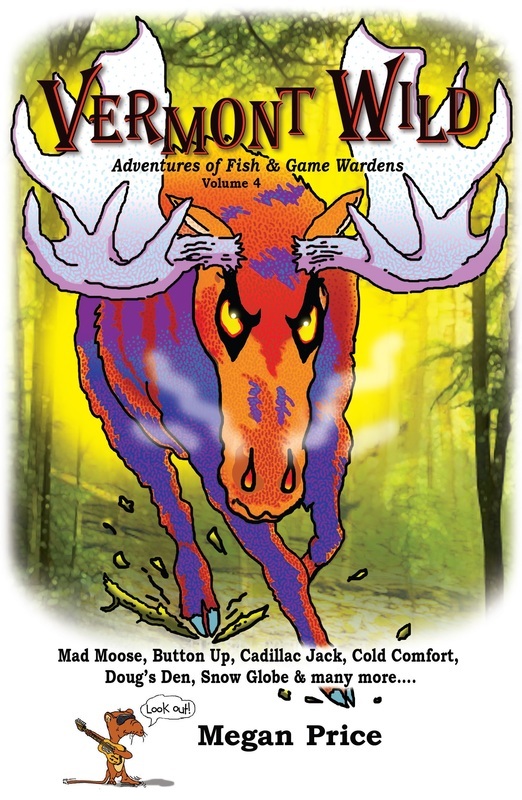 Vermont Wild is a five volume book series of mostly humorous, but occasionally harrowing, true retired game warden stories. "Humor is the common thread throughout the stories," Price noted, "Even the ones where the wardens come close to getting themselves killed. That's what makes these stories sing." Price began collecting and writing warden encounters with hungry bears, angry moose, reluctant hunting dogs and endless wily poachers a decade ago, at the urging of friend and retired warden Eric Nuse of Johnson. Nuse's stories fill the first volume. When volume one was released, it was an immediate hit with rural readers, starved for true stories of the natural world. "I knew there had to be more stories out there, more wardens with experiences deserving to be shared," Price said. "I have come to believe their stories are more than entertainment. They are an important slice of Vermont's history." With five volumes released to date, any network choosing to make a TV series based on Vermont Wild will have close to 100 stories from which to create future shows. "That is a tremendous asset for any network considering developing a TV series," Price noted. "Amazon, Netflix, Discovery, Animal Planet and more are all looking for content for their growing audiences. 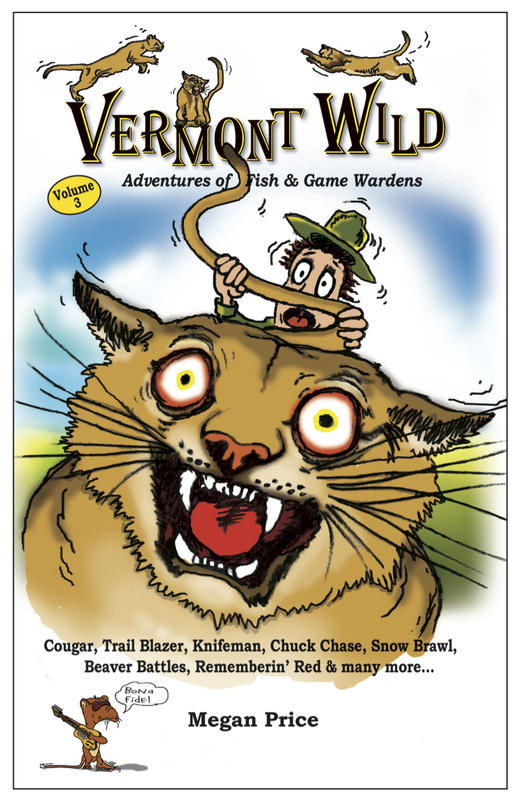 The Vermont Wild stories are read by readers aged 9 to 99. Parents even use them as bedtime stories. Done right, it would be the same with TV." "But the bottom line for me is, to have Mr. Sharp believe, as I do, these stories could make great television and deserve to be brought to life in that way, for millions to see, is a great compliment. Will it happen? We'll just have to wait and see." 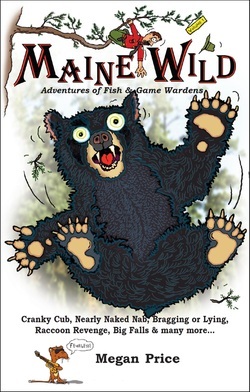 Ask for Maine Wild in your local bookstore or order here online! Retired Maine Fish & Game Warden Parker Tripp’s career reads like a Hollywood movie: undercover operations, wiseguy arrests, a pickaxe swung at his head, floatplane busts, bear cub chases... Parker even pursued poachers barefoot, alone, at night, wearing only his briefs—after they’d shot at him and rammed his cruiser! His assignments took him from the Canadian to New Hampshire borders and his exemplary service earned him the title of Chief Warden. 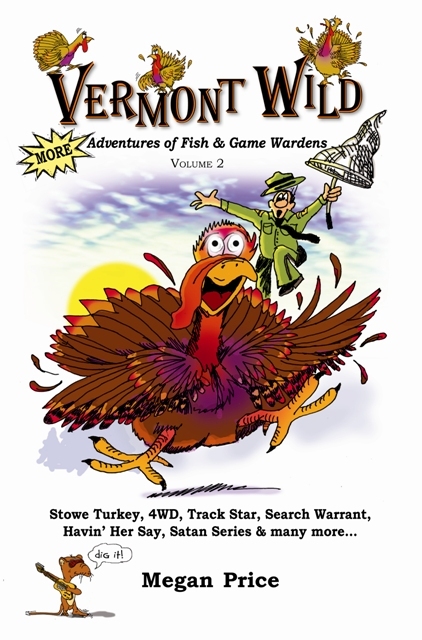 Parker’s stories are written by award-winning journalist, Megan Price, author of the Green Mountains’ best-selling trilogy, Vermont Wild, Adventures of Fish & Game Wardens. Told as if you are listening at a campfire, readers will be on the edge of their seats, laughing out loud and begging for more. 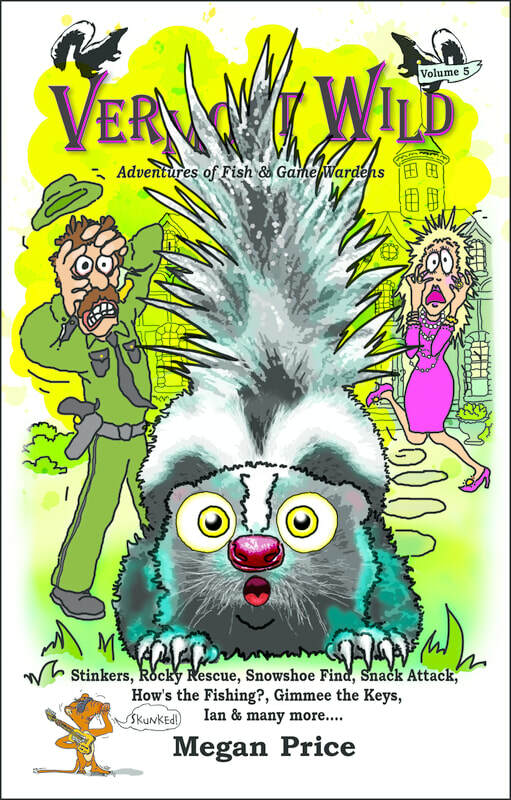 Megan excels at creating books with wacky, true Outdoor adventures the whole family will enjoy. Don’t go to camp without Maine Wild! Illustrations by Bob Lutz, a retired Vermont warden. 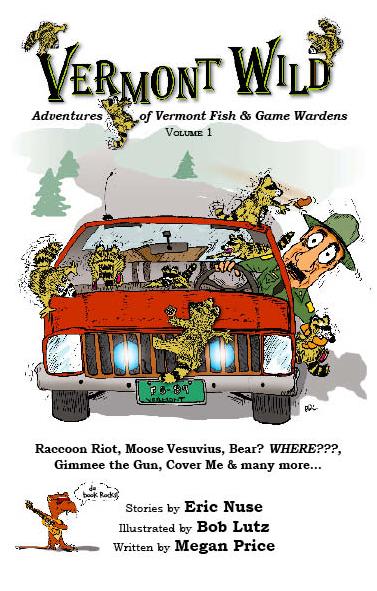 Pine Marten Press Publishes the "Vermont Wild" and "Maine Wild" Series.